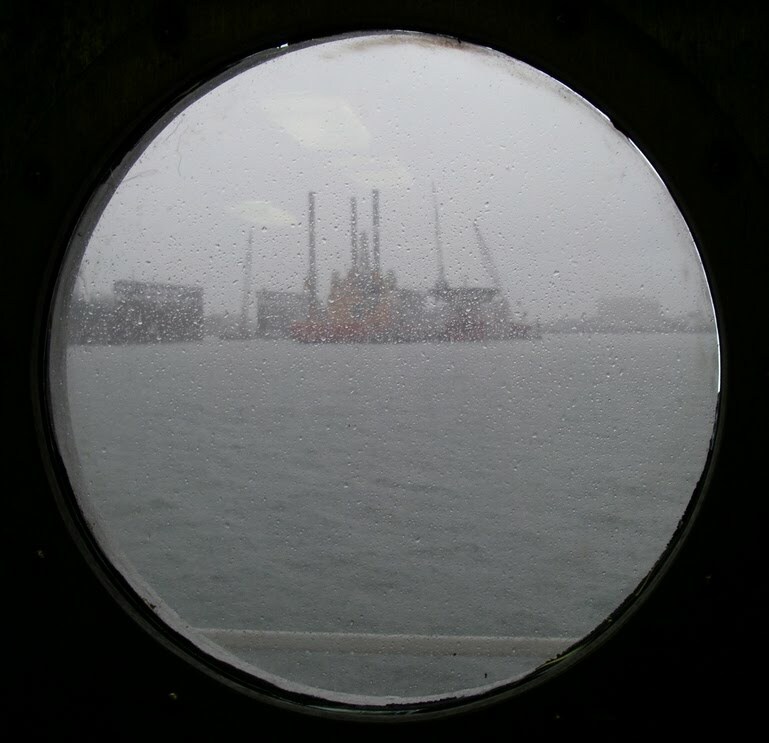 I arrived in the Port of Galveston last night in the rain on the edge of Hurricane Alex, which was making landfall farther south along the Gulf Coast. The boat was quiet. 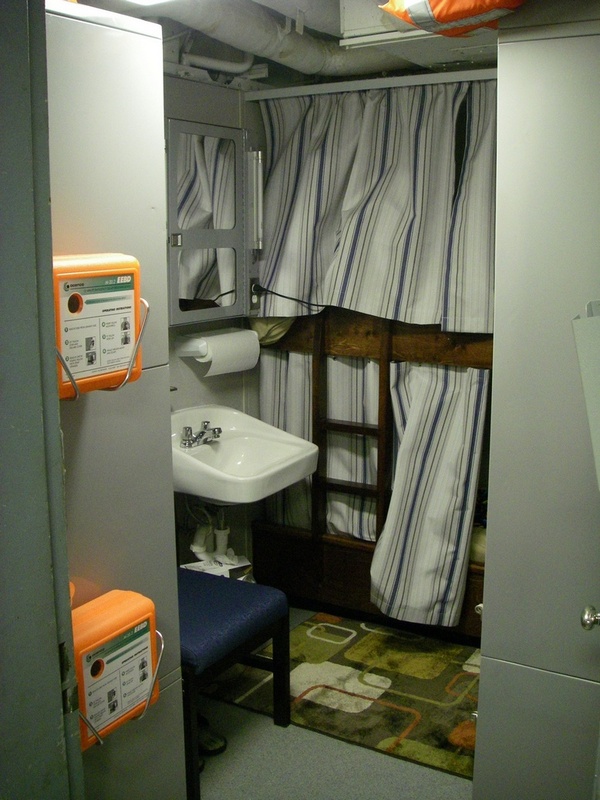 I found my quarters – Stateroom 4, below deck – which I am sharing with Walter, the Second Cook for our cruise. We were supposed to set sail today, but given the wind and rain that Alex brought to the Gulf our departure is delayed until tomorrow. Today is a wait-out-the-weather day. Kim (the other Teacher at Sea the Oregon II) and I are meeting the officers and the crew and scientists and learning about our work for the next two weeks. I’ll be working the “day” shift – noon to midnight – while Kim will be on nights. We set out tomorrow, heading south along the coast. Heavy seas are expected in the aftermath of Alex, which will be a major test for my sea legs. You can follow the Oregon II’s progress here. 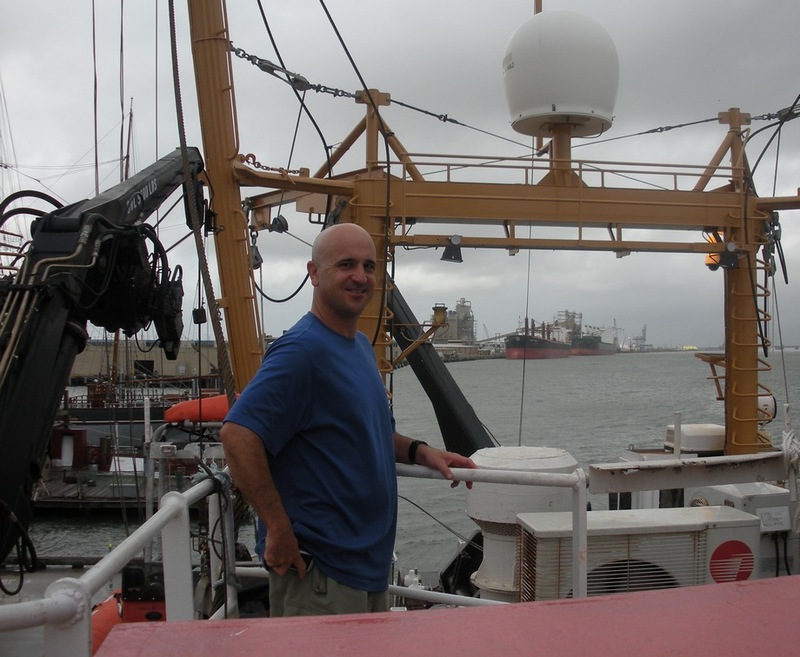 This entry was posted in 2010, Bruce Taterka, NOAA Teacher at Sea and tagged Oregon II, SEAMAP groundfish survey, stateroom. Bookmark the permalink.